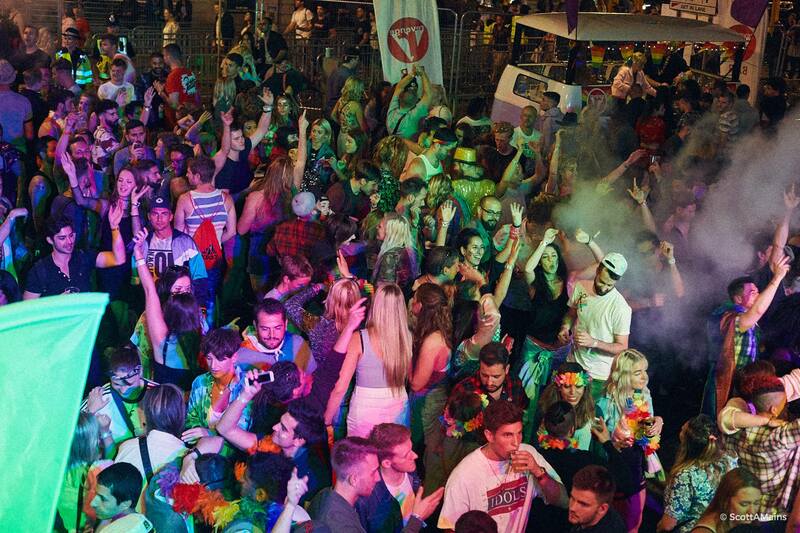 Every year Brighton pride goes above and beyond what we could ever expect-the whole city comes alive! Every street is filled with music, colour, glitter and the best people coming together to celebrate their love for the LGBTQ+ community. 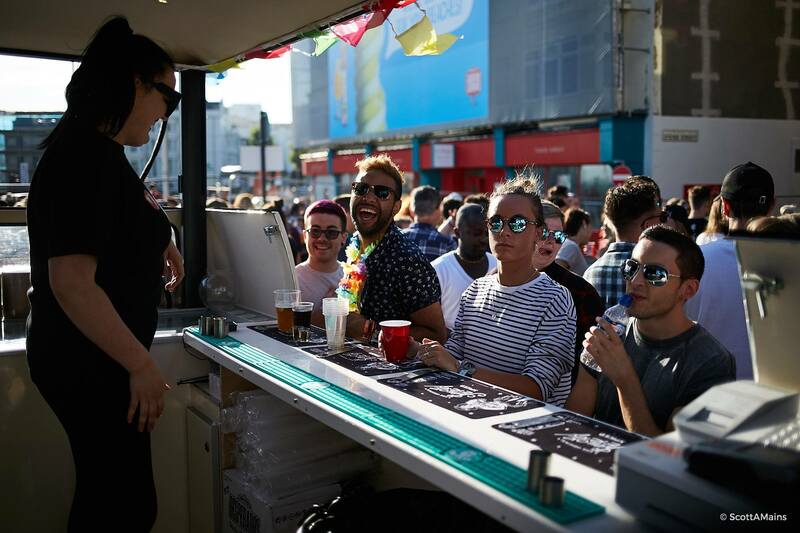 Every Pride you can catch our Bugbar’s in and around the Street Party in Kemptown over Pride. This year we had two fantastic bars/pubs turn to us for help in creating a festive feel outside their venues- Bar Revenge and The Mucky Duck. Each venue required our ‘Do It Yourself’ option, hire the Bugbar and decor from us, in order to sell their own stock with their own staff over the weekend. For Bar Revenge, we decorated up Gusto with the Revenge’s branding, decorating it with our bright flower garlands to create a stand out feature to the street party. Revenge loved our bar, staff loved serving from it, and customers loved buying! For The Mucky Duck, we provided our DISCOBUG, adorned with rainbow flags and garlands to celebrate Pride. We added the finishing touches for the well loved Kemptown Pub, providing a freezer and eskies for ease of service- and The Mucky Duck use their own stock and staff to boost the party outside! Music was playing, and people flocked to try some of the tasty drinks on offer. 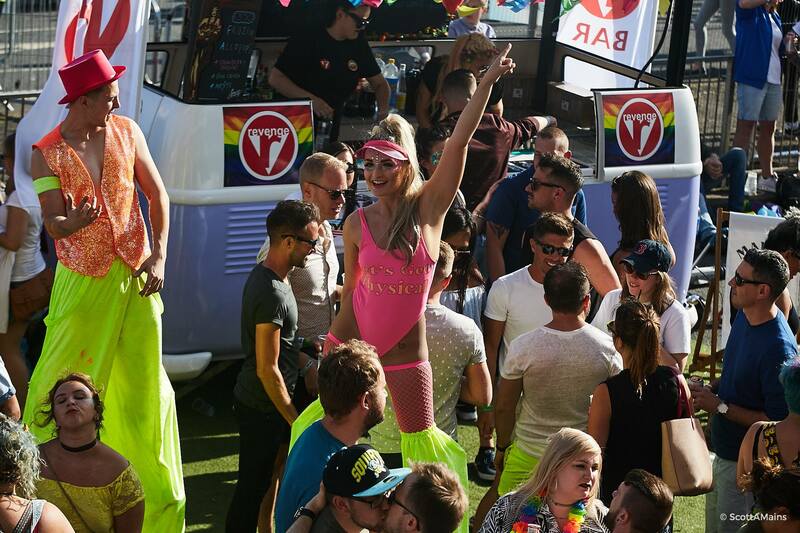 We love being at Pride, and helping local bars and pubs boost sales on one the the busiest weekends in Brighton! 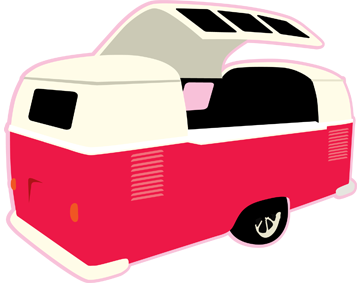 Our Do It Yourself options allow for a freedom and ease of service on such a labour intensive weekend.